Full Body Imprint No Problem. 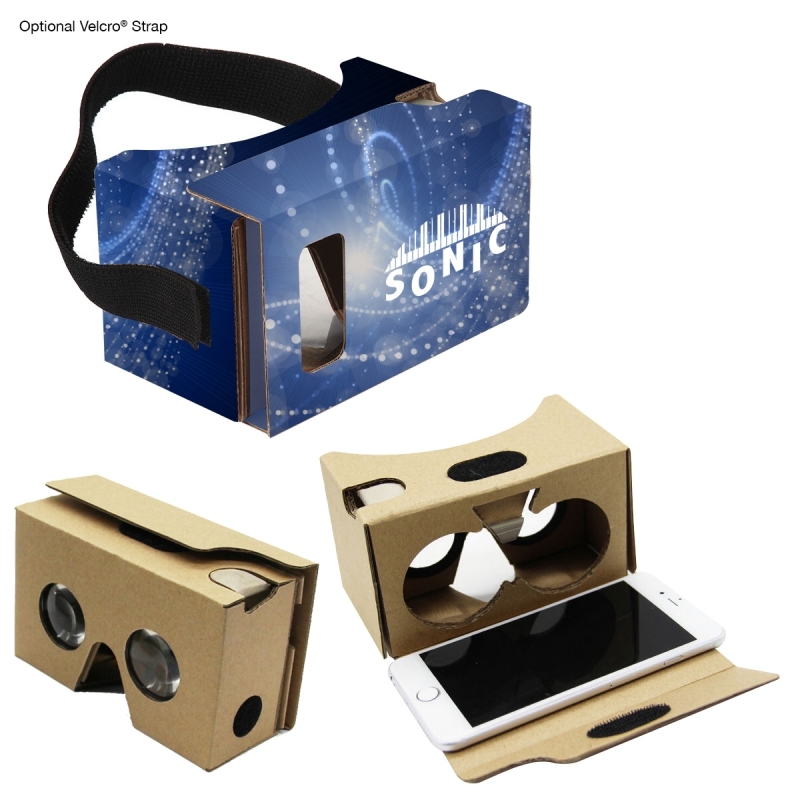 The Custom Cardboard Virtual Reality v2 from Hit Promo is a custom Google Card Board viewer that can take a full color imprint over the entire body of the product. This gives you a totally open branding canvas for whatever your theme might be on the experience the user is undertaking. Print it like Paris, or the Milky Way, or your hometown in South Dakota. Wherever the experience places the user, you can represent that on the Custom Cardboard Virtual Reality v2 viewer itself, plus any other marketing messaging. Suction Cup Included. Attach Phone To Suction Cup To Keep It Firmly In Place. Please contact us at info@proformagreen.com if you would like more information on – or virtual samples of – the Custom Cardboard Virtual Reality v2 speaker.